This was a masterclass that I was very much looking forward too! The prospect of six Japanese whiskies from three of the biggest players in the game had been too much to resist and I willingly signed up to this event at the earliest opportunity. Japanese whisky is still relatively new for me; I was bought a bottle of Yamazaki 12 years ago and at the time loved the complete twist in flavour profile that it offered, but it wasn’t until I went to London and met Alywnne (of Miss Whisky) and Zoran Peric (Brand Ammbassador for Suntory in the UK) that my love for the spirit really took off (you can read about that trip here). So it was that I found myself in the basement of Vinopolis sitting next to Oliver Klimmek in a room full of enthusiasts awaiting some of the finest whisky I would try all day! Monday lunchtimes do not get better than this. 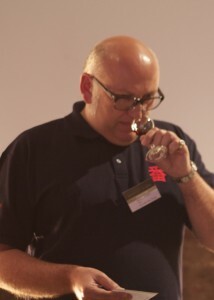 Zoran was first up with the two Suntory offerings. He started with a brief overview of Suntory, explained a little about the history of Japanese whisky and elegantly wove the whiskies into the story. He brought two fabulous examples. I’ve previously tried the Hakushu 12 and really enjoyed the soft peaty tones that it offered; for me this heavily peated version is a step up – big peat but in a very Japanese and non-Islay delivery. Palate: Very smoky and oily. The dram is full of fresh sweet peat (not at all like Islay whiskies), before honey and orange notes develop. Water opened up the oils and surprisingly made the peat more intense. Finish: Massive but delicate, this is a whisky to buy and enjoy! The colour in the glass was immense – you just knew that this would be a fabulous sherried hit! Nose: Sweet with raisins and orange marmalade – this is one to enjoy post dinner! Next onto the floor were Nikka with two contrasting 10 year old whiskies to savour. My only previous exposure to Nikka was to their very enjoyable ‘From the Barrel‘ blend. Again we had a short history lesson of Nikka, and then it was onto the whisky. Palate: Subtly smoky, the whisky rides and fades in the mouth, alternating between cream and peat. Very interesting! 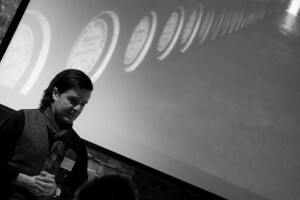 Marcin Miller from Number One Drinks was last up. I’ve read some reviews of recent releases so I knew that this would be special. 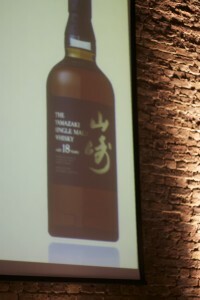 We were given samples from two different distilleries – Japan’s newest and oldest. It was all about the whisky; Marcin spoke briefly and then allowed the whisky to sing as he ended the class in spectacular fashion! 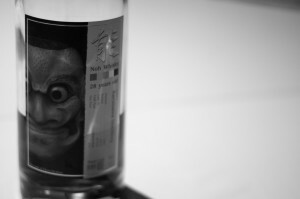 This is from Japan’s newest distillery and is bottled at a mere 3 years of age. In my opinion it was probably the highlight of the masterclass, and I will be firmly putting this on my Christmas list. This was a special whisky; rare and ridiculously well recevied by the Twitter community. That optimism was justified – it is just stunning. If you can find it and have the money you will struggle to find better. Nose: Wow! Dense rich and almost Calpol like. it had a scent that I couldn’t quite place but was almost medicinal like in a completely non-Laphroaig way. Finish: Clings to the mouth – so good you dont’t want it to fade! So there it was, 60 minutes of brilliance, 6 incredibly good Japanese whiskies, 3 great speakers and 1 masterclass that delivered extremely well! Thanks must go to the Whisky Exchange and to Billy for allowing me to sign up to the class – from now on I will also be firmly buying Japanese!